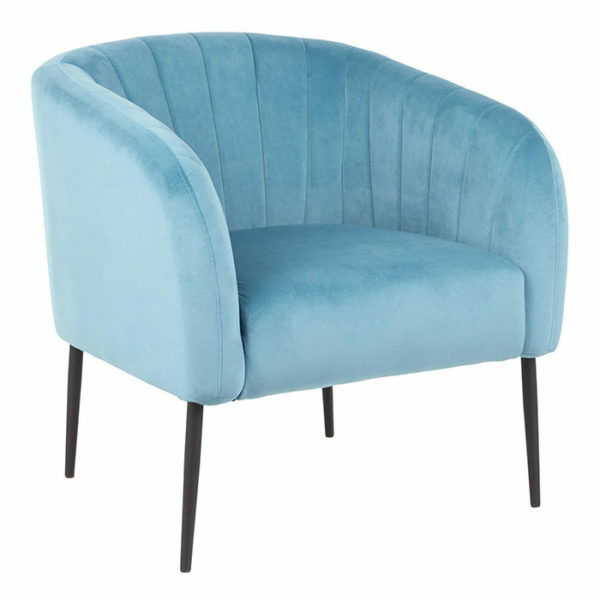 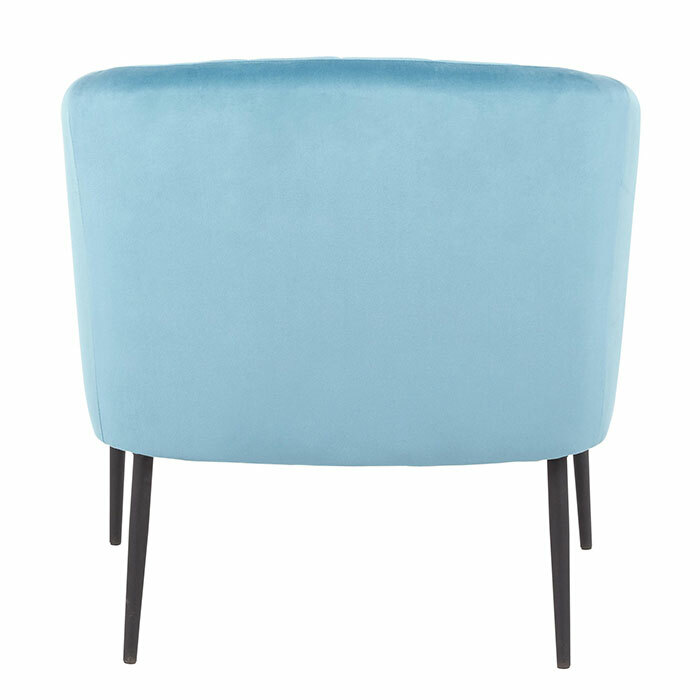 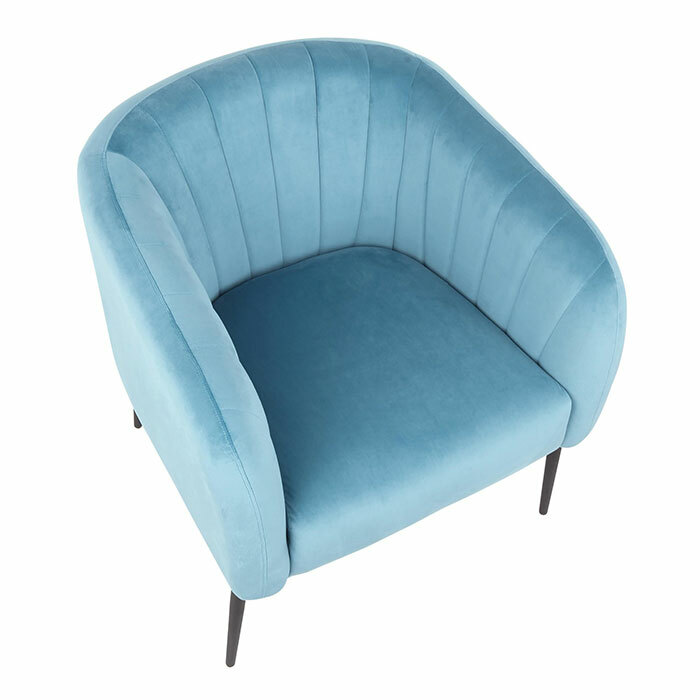 Have a seat on this Renee Chair with a thick padded seat and backrest. 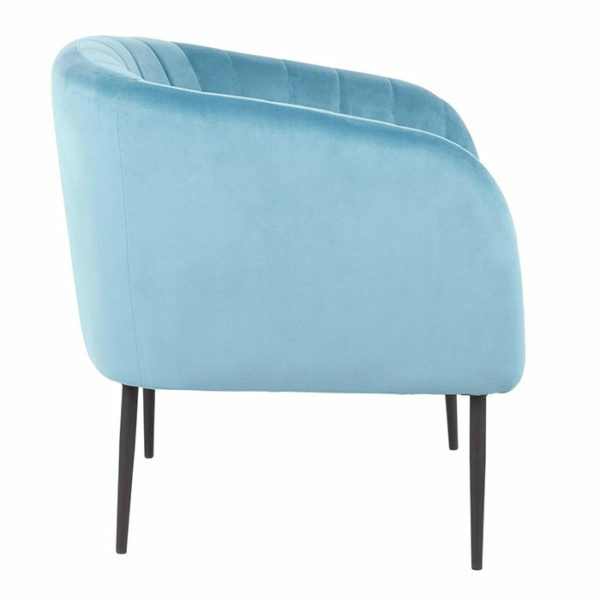 Made with verticle tufting and luxurious upholstery. 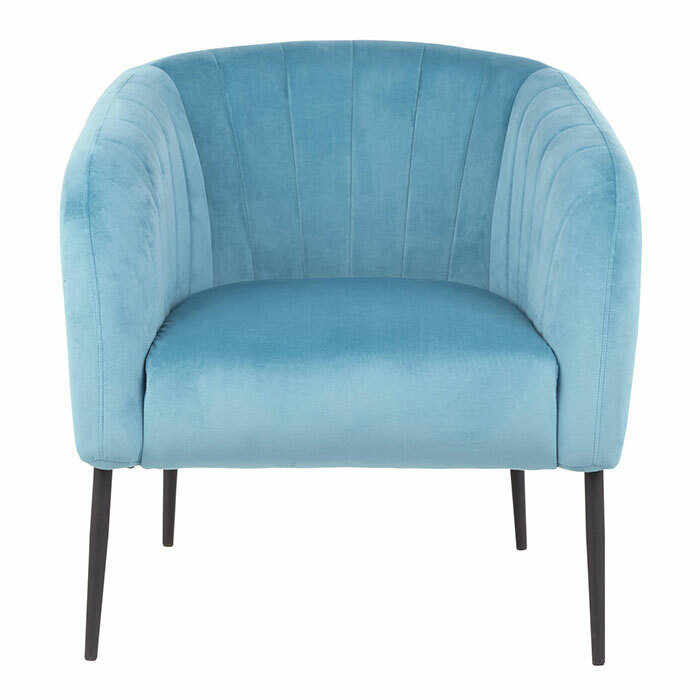 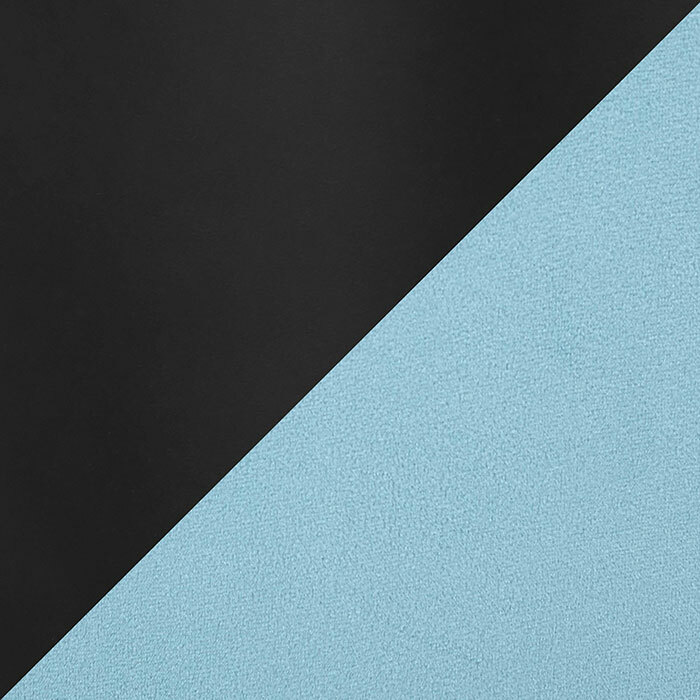 Black Metal legs and Turquoise Velvet upholstery.